Taken forward from RIBA Stage 3 by LSI Architects, Ebury Place has been purchased by Taylor Wimpey Central London. The £65M scheme also incorporates the Sir Simon Milton Westminster UTC, a 5,200 sqm University Technical College for 550 pupils. 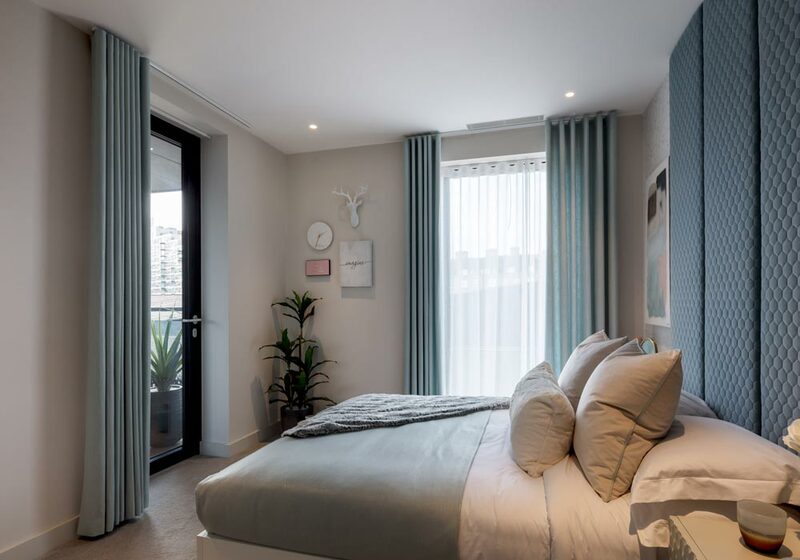 The residential scheme comprises an 11-storey residential tower with 47 one, two and three-bedroom apartments, along with 23 secure underground car parking spaces. The apartments provide a rich and traditional ambience and the majority include external balconies with views over central London. 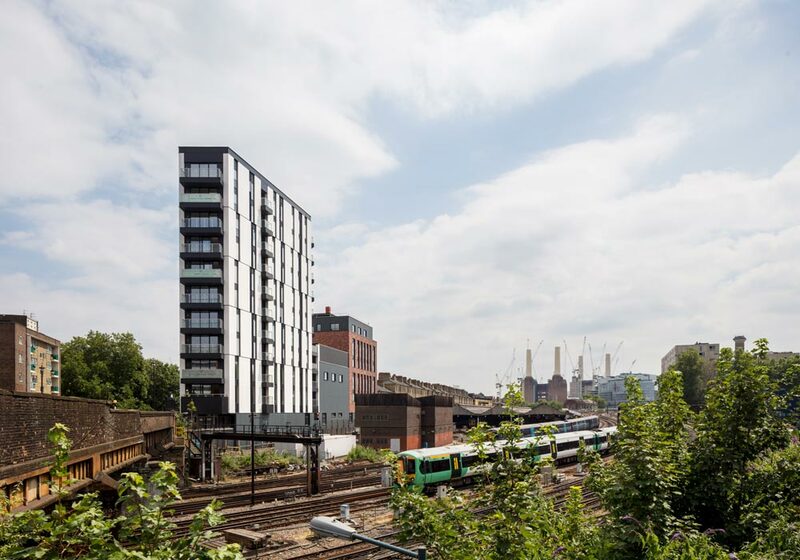 The site is fragmented into 3 principle volumes; the low rise volume (of 6 storeys) to the south housing the teaching spaces of the UTC, the mid-rise volume (of 11 storeys) to the north housing the residential apartments and the 2/ 3 storey infill volume sitting in between. Each volume has a clearly differentiated architectural expression and material pallet to respond to their varying functional requirements and immediate context. Ebury Place uses a palette of finely textured stone and aluminium that reflects the refined architectural character of the adjacent Pimlico Conservation area. The separation of the residential element from the UTC has been maximised to ensure mutual privacy between the two uses. Massing, form orientation and façade design have evolved to ensure that solar gain is kept to a minimum, achieving suitable balance between heat loss and provision of natural light and providing protection against noise generating aspects of the site. Other means of increasing energy efficiency include the use of a district heating system, high levels of thermal efficiency, a low energy lighting scheme, MVHR heat recovery and extensive use of photovoltaic panels providing 12% of the energy requirements. LSI produced a series of quick design studies to demonstrate our resolution of key technical compliance issues, and how stakeholder aspirations and concerns could be achieved and resolved within cost constraints. The triangular site is bounded to the west by rail approaches to Victoria Station, necessitating detailed liaison with Network Rail and the need to agree over sailing arrangements. Ebury looks fantastic and the site team have done an excellent job on delivering the quality we require. Our directors have been very impressed at the product presented.